A spectacular setting for exploring the Scottish Highlands, run by fellow bikers Bev and Chris. 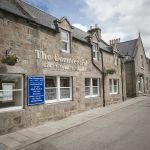 Situated on Royal Deeside and close to the Cairngorm National Park, making it an ideal location for Bikers to explore the surrounding areas and open roads! Popular throughout the year with touring bikers especially when Thunder in the Glens is on. 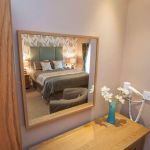 A traditional stone built village hotel with nine en-suite bedrooms lovingly restored with all modern amenities including tea/coffee facilities flat screen televisions. 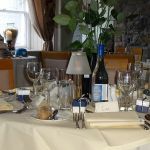 At breakfast you can help yourself from a selection of fruit juices, cereals and yoghurts, prior to enjoying an extensive breakfast menu including a freshly cooked full Scottish breakfast enough to set any Biker up for the day. 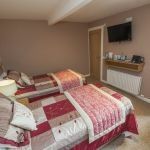 Also a newly refurbished three bedroomed self-catering apartment which sleeps five. Enjoy home-cooked food from the award winning dinner menu, served in the Cromar Restaurant and Lounge bar with its open log fires. 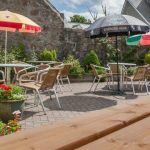 The Public bar with a pool table and darts is where you can enjoy a pint from the selection of real ales, draught and bottled beers or a 'wee dram' from the extensive range of both blended and local single malt whiskies. Within an easy ride to Aberdeen, Braemar and Grantown-on-Spey. Free Wi-Fi. Motorcycle washing facilities. Private parking. Aboyne, Alford, Ballater, Banff, Braemar, Dufftown, Grantown-on-Spey, Keith, Aberdeenshire, Morayshire, Highlands, Inverness-Shire, The Heart of The Highlands, Thunder in The Glens, Fort William, Ben Nevis, Loch Ness, Cairngorm National Park, Aviemore, Cairngorms, Highland Wildlife Park, the Cairngorms National Park, on one of the best roads in Scotland. including Huntly Castle, Loanhead of Daviot Stone Circle, Dunnideer Hill Fort, Kildrummy Castle, Glenfiddich distillery, Leith Hall, Corgarff Castle and more... Spey Valley Whisky Trail, from Peterhead Bay, the easternmost point in mainland Scotland. A good base to explore the rugged North East coast of Scotland, with golden sandy beaches and within easy distance of the city of Aberdeen, Banff Castle and Fraserburg, famous Royal Braemar Highland Games Park, bikers welcome, Montrose and Stonehaven, with spectacular views over the harbour, village and within easy reach of Aberdeen, Dundee, Arbroath, Carnoustie and Royal Deeside.